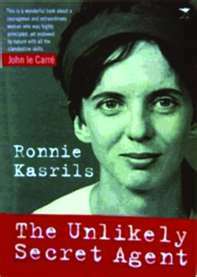 The Unlikely Secret Agent is a book written by Ronald Kasrils, a South African politician and former Minister for Intelligence Services, about his remarkable wife Eleanor. 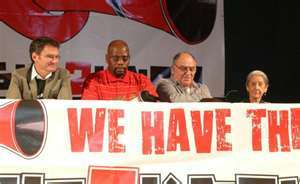 Following President Thabo Mbeki’s resignation in September 2008, Kasrils was among members of his Cabinet who also submitted their resignations. 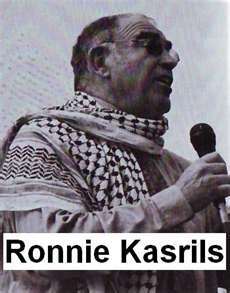 In 2009 Kasrils wrote Armed and Dangerous, a bestselling autobiography about his experiences in the ANC during the turbulent 1960s. “The book reads like a spy thriller, biography telling the remarkable story of a young woman’s courage in apartheid-ridden South Africa. As the book opens in 1963, South Africa is in crisis and the white state is under siege. On August 15, the dreaded security police swoop down on Griggs Bookshop – Durban’s finest literary haunt frequented by ANC and South African Communist Party comrades to receive or deliver messages and money to advance the cause of the struggle. They plan to arrest Eleanor Kasrils, the bookstore manager’s daughter. The police threaten to ‘break her or hang her’ if she does not lead them to her lover, Ronnie Kasrils, wanted on suspicion of sabotage for setting off explosions and toppling electricity poles. The transfer of secret documents only took place after the recipient whispered the code: ‘Well, let me take both books’. To protect her comrades and Ronnie, Eleanor convinced the police she was on the verge of a nervous breakdown. They sent her off to a mental hospital in Pietermaritzburg for assessment. Born in 1936 in Kilmarnock, Scotland, Eleanor moved with her family to Durban where her father became a bookseller. As a Scottish-South African anti-apartheid activist she created ANC cells in Scotland and opposed the activities of the UK government in Africa in the 1980s. Eleanor joined the Congress of Democrats in the aftermath of the 1960 Sharpeville massacre, where police shot dead 69. Educated in Durban she married and divorced by the age of 24 and raised Bigrid, a daughter from her first marriage. Held at Fort Napier – an asylum in Natal – she planned her escape with care. First she went on a hunger strike for six days and then she faked a mental breakdown. With a scarf over her head, she calmly walked out of Fort Napier through a gate left unlocked by a sympathetic nurse. At a safe house, she cropped her hair and dressed as a boy. She met up with Ronnie and they decided to try to make it to the Botswana border. Ronnie dressed as a prosperous businessman, while Eleanor put on traditional Muslim garb. Driven by a veteran of the escape route they traveled with two other passengers to lend authenticity to the group. They avoided border patrols until they reached their cross-over point, where a ladder was waiting to get them over the fence. As they were saying goodbye, Eleanor spotted a dust cloud in the distance, on the South African side of the border. They hid behind boulders as a police car roared past. Then, staggering under the weight of their luggage – with Eleanor’s brown face cream beginning to streak in the heat – the couple made it over the fence into the British Protectorate, where they received political asylum. In 1965 Eleanor moved to London to seek treatment for malaria. Ronnie joined her there and they set up house in north London. Eleanor worked as assistant to the ANC president, Oliver Tambo. Ronnie – a senior figure in Umkhonto we Sizwe intelligence – the ANC’s active military wing – traveled the front-line states. In London Eleanor came up against supporters of the South African apartheid government. She found herself in the headlines when a Tory MP, Andrew Hunter, claimed that the IRA trained ANC members and that Ronnie Kasrils was “recruiting terrorists” in London. She replied with a tough statement, challenging the MP to repeat his charges outside the Commons: “I will be more than happy for a British jury to decide which of us is telling the truth and which of us is lying.” Hunter did not take up her challenge. 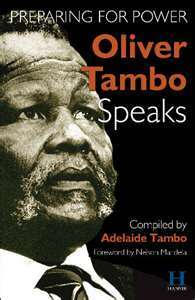 Following the political settlement, Eleanor returned to South Africa in 1990 with Oliver Tambo, who had suffered a stroke. She worked for him until his death in 1993. She also traveled extensively with Ronnie in the course of his ministerial duties. 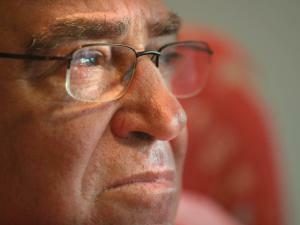 But Ronnie, seen as a loyalist to Thabo Mbeki, lost office in the palace coup that saw Mbeki’s overthrow. He and Eleanor settled near Cape Town. In 2000 Eleanor received amnesty from the Truth and Reconciliation Commission for bombing the Durban security police offices, stealing dynamite, destroying electricity pylons, illegally crossing the Botswana border, and escaping from police custody. Eleanor Kasrils died at 73 of natural causes. 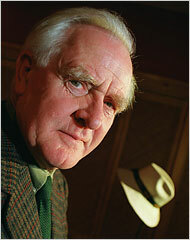 Upon her death Nelson Mandela paid tribute to her work and referred to her as a “genteel and elegant Scottish woman”. This “little” book about an “ordinary” woman with the heart of a lioness confirms the truth that our freedom was not free. From its pages rings out another truth that among the outstanding heroines and heroes of the South African struggle were those who did not set out to do heroic deeds. This entry was posted in South Africa and tagged 1960 Sharpeville Massacre, Alan Paton, Alan Paton Award, ANC, ANC Cells, Anti-apartheid activists, apartheid, Armed and Dangerous, Cry The Beloved Country, Eleanor Kasrils, Fort Napier Natal, Griggs Bookstore Durban, John le Carre, Nadine Gordimer, Nelson Mandela, Nic Dawes, Oliver Tambo, Right2Know Protest, Ronald Kasrils, Ronnie and Eleanor Kasrils, Ronnie Kasrils, Sdumo Dlamini, Sharpeville Massacre, South African Apartheid Government., Thabo Mbeki, The Unlikely Secret Agent, Umkhonto we Sizwe intelligence, Winston Churchill's Special Operations Executive (SOE) Resistance Group by suemtravels. Bookmark the permalink.